Chefs, culinary students, food bloggers and food enthusiasts are invited to a free workshop on Food Research and Food Writing by Filipino food author and New York based restaurateur Amy Besa at the Negros Museum on October 29, 2011, Saturday from 9am-6pm. 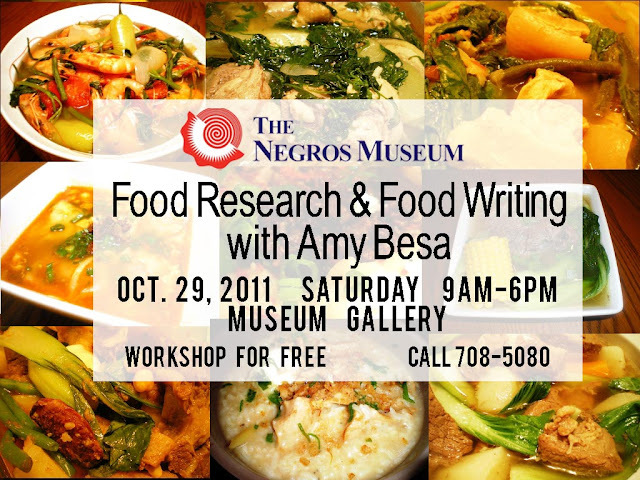 Last October 2010, Amy Besa also gave a talk and a lecture exchange free lecture exchange entitled How We Can Move Filipino Food Forward at the Negros Museum which was attended by Negrense restaurateurs, food and cooking afficionados. She also brought with her Chinese American food writer Grace Young, author of Stir Frying to the Sky's Edge, who also researched on Filipino-Chinese food. 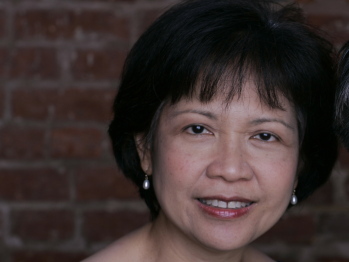 In 2006, Amy Besa co-authored with her husband Romy Dorotan the book Memories of Philippine Kitchens which won the IACP Jane Grigson Award for Distinguished Scholarship in the Quality of Research Presentation. She now owns the restaurant Purple Yam in Brooklyn and runs it with her husband. The couple also owned and manage Cendrillon from 1996 - 2005, a Filipino restaurant in New York.